overseas and domestic (including Hong Kong, Macao and Taiwan) fashion brands designers, teachers and students of fashion institutes and fashion enthusiasts. Award-winning designers, who are willing to work or startup in Xiacheng District, can enjoy the related support policies of Xiacheng District, Hangzhou City. 1. Design and complete the 2019 autumn and winter series of women’s wear (5 to 8 suits) according to the theme of the competition. Prepare 27CM×40CM series colored effect drawing and plane structure drawing, and attach the name of the work to the upper right corner of the effect drawing and the fabric swatch (8CM×8CM) to the lower right corner. Semi-finalists/finalists must make 5 suits of apparels for the final dynamic display. 2. Please write your name and name of the recommending unit on a 27CM×40CM sized paper, which shall be bound with the works. No personal information shall be allowed to appear on pages of works. 3. Materials for competition will not be returned, please keep the manuscripts. The organizing committee shall have the right to promote, publish and display the works and apparels made by participants during the competition. 4. Materials on works must be delivered word-based or image-based for competition. Meanwhile, the electronic document of above materials shall be sent to the email ([email protected]) of the organizing committee. 5. Works for competition must be the participant’s originals. Should there be any copied ones, the participants shall be disqualified for competition or award and cannot take part in this competition within three years. 6. Personal information and certificates on works for competition submitted by participants must be authentic and valid. Those who submit false ones will be disqualified for the completion or awards and will be reported to relevant departments. 7. Participants must observe the rules of the competition strictly and follow the schedules and arrangements. 8. The right of final interpretation to this competition shall be held by the organizing committee. 1. Participants must submit complete materials (design scheme, application form, a copy of ID card and 3.5CM×5.3CM ID photo). 2. Above materials must be sent to the organizing committee before 15 August 2018 (the deadline). 3. 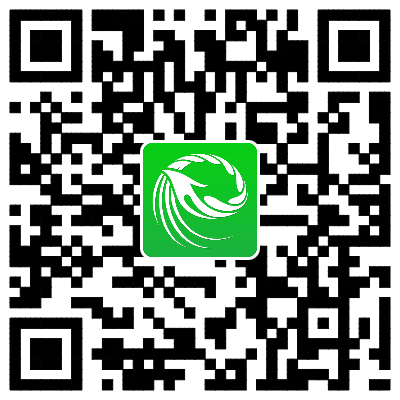 For details, please follow the WeChat official account of Hangzhou Fashion Designer Association. 4. Board and lodging expenses of participants, of which work is qualified for the quarter-final and the final, during the quarter-final and the final in Hangzhou shall be assumed by the organizing committee, while the travelling expenses shall be assumed by participants themselves. 5. The organizing committee is established in Hangzhou Fashion Designer Association. For any questions, please contact the committee. Address: GaojiaHuayuan, No.8 Fengjing Street, Xiaohe Road, Gongshu District, Hangzhou City, Zhejiang Province. Professors from overseas and domestic renowned fashion institutes, senior practitioners of the industry, the person in charge of famous clothing brands or design directors will be invited in the panel of experts for preliminary assessment on the works for competition and give scores. The top 30 sets of works will be selected for the re-assessment. Should any finalists drop out of the competition, the vacancies shall be filled by other participants in order of ranks of their scores. The top 30 sets of works selected for the re-assessment shall be made a suit of clothes according to the design scheme submitted, and come to Hangzhou for video interview and assessment. The top 20 participants will be qualified for the final. The interview and assessment scores will be included in the results of the final. Expert panel of the final will score the comprehensive performances of works and set the awards in combination with their scores in the re-assessment and the final in certain proportion: 30% for the re-assessment and 70% for the final.